Iryna Yevseyeva is a lecturer in Computer Science at the De Montfort University in Leicester, UK. Her expertise is in multicriteria optimization and decision analysis and their applications in various domains such as security, drug discovery, manufacturing and healthcare. Previously, she was a post-doctoral researcher at the Newcastle University in the UK (2013-2016), at the Leiden University in the Netherlands (2012-2013), at the Polytechnic Institute of Leiria in Portugal (2011-2012), at the INESC Porto in Portugal (2009-2011) and at the University of Algarve in Portugal (2008-2009). 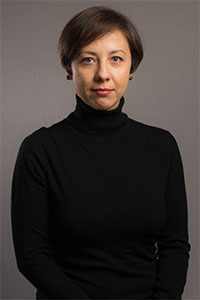 Iryna received her PhD degree in computer science and optimization from the University of Jyvaskyla – Finland in 2007.